The Embraer E-Jets are a series of narrow-body, twin-engine, medium-range, jet airliners produced by Embraer, a Brazilian aerospace conglomerate that produces commercial, military, and corporate aircraft. Announced at the Paris Air Show in 1999, and entering production in 2002, the aircraft series has been a commercial success. The aircraft is used by both mainline and regional airlines around the world. As of 30 September 2012, there is a backlog of 178 firm orders for the E-Jets, 579 options and 885 units delivered. The Embraer E-Jets line is composed of two main commercial families and a business jet variant. The smaller E-170 and E-175 make up the base model aircraft. The E-190 and E-195 are stretched versions, with different engines and larger wing, horizontal stabilizer and landing gear structures. The 170 and 175 share 95% commonality, as do the 190 and 195. 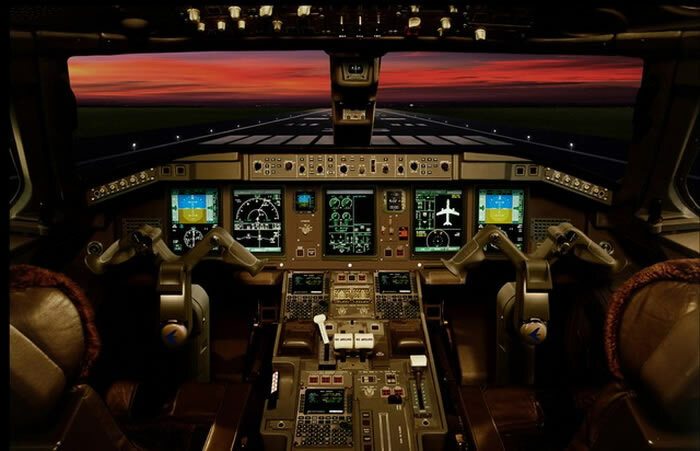 The two families share near 89% commonality, with identical fuselage cross-sections and avionics, featuring the Honeywell Primus Epic EFIS suite. 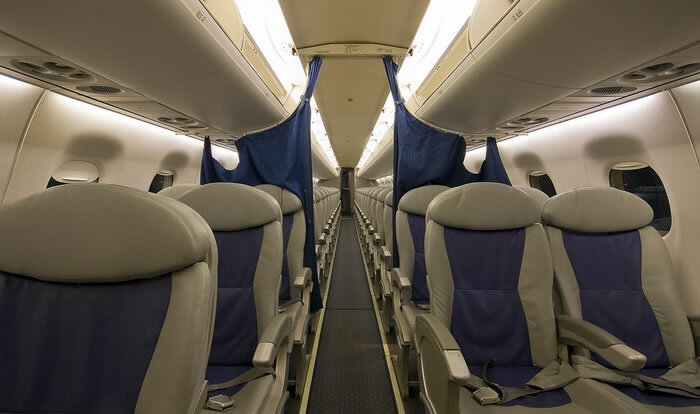 All E-Jets use four-abreast seating and have a "double-bubble" design, which Embraer developed for its commercial passenger jets, that provides stand-up headroom. 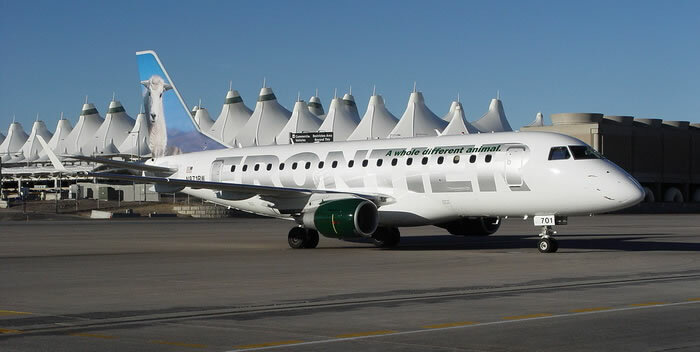 Although commonly referred to with simply an "E" prefix, the jets are technically still Embraer Regional Jets ("ERJ"s), which still refers to the smaller Embraer ERJ range. Embraer dropped the ERJ prefix in its advertising early in production. The E-190/195 series of aircraft have similar capacities to the initial versions of the McDonnell Douglas DC-9 and Boeing 737, which have always been considered mainline airliners. The launch customers for the aircraft were the French airline Régional Compagnie Aérienne Européenne with ten orders and five options for the E-170; and the Swiss airline Crossair with an order for 30 E-170s and 30 E-190s. The largest single order for any type of E-Jets has come from JetBlue with 100 orders for the E-190, and options for 100 more. JetBlue set the record for the longest flight of the E-190 family on November 6, 2008, when one of its aircraft made a non-stop flight from Anchorage, Alaska (Ted Stevens Anchorage International Airport) to Buffalo, New York (Buffalo Niagara International Airport), a total of 2,694 nmi (4,989 km). This was an empty aircraft on a non-revenue flight. The aircraft eventually returned to JFK after a two-month-long charter service with Vice Presidential candidate Sarah Palin. In November 2011, Embraer announced it would re-engine the E-Jet family and deliver the first example before 2018. Embraer is yet to choose a new engine. In February 2012, Embraer announced they are studying the development of a new variant with 130 seating capacity. The study is expected to be completed by the end of 2012. The E-170/E-175 models in the 80-seat range are the smaller in the E-Jet family. They are powered with General Electric CF34-8E engines of 14,200 pounds (62.28 kN) thrust each. The E-170 and E-175 directly compete with the Bombardier CRJ-700 and Bombardier CRJ-900, respectively, and loosely compete with the turboprop Bombardier Q400. 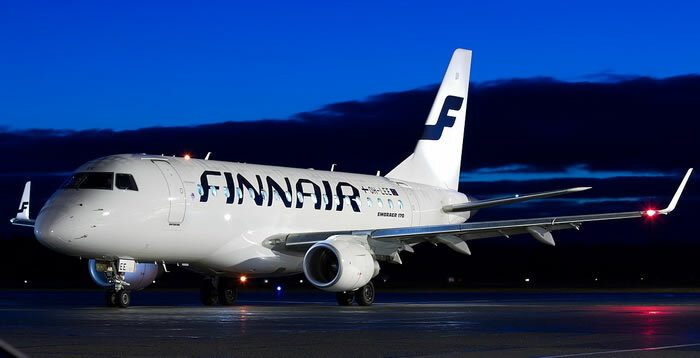 They also seek to replace the market segment occupied by earlier competing designs such as the BAe 146 and Fokker 70. The Embraer 170 was the first version produced. The prototype 170-001, registration PP-XJE, was rolled out on 29 October 2001, with first flight 119 days later on February 19. The aircraft was displayed to the public in May 2002 at the Regional Airline Association convention. After a positive response from the airline community, Embraer launched the E-175. 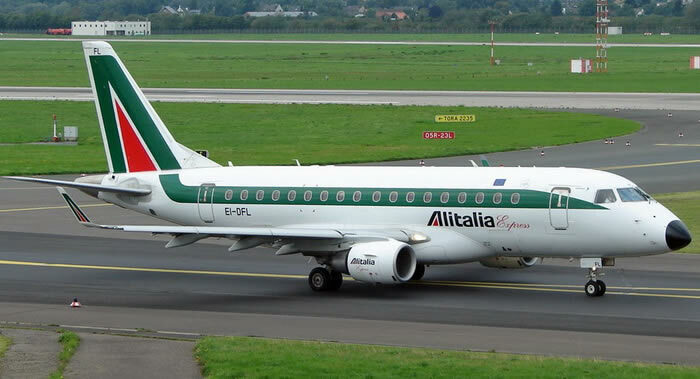 First flight of the stretched E-175 was on June 2003. Certification for the 170 took nearly 2 years after the public debut; delivery of the first E170 aircraft to the launch customer LOT Polish Airlines was in March 2004. The launch U.S. customer For the EMB 170 was US Airways, after FAA certification, the aircraft entered into revenue service on April 4, 2004 operated by the MidAtlantic division of US Airways, Inc. The first E-175 was delivered to Air Canada and entered service in July 2005. The 170-001 prototype performed its last flight on April, 11 2012. Its destiny was disassembly in the US for spare parts. Embraer 170 (or EMB 170-100) As of July 2011 180 Embraer 170 aircraft (all variants) are in airline service, with 8 additional other orders. About 15 other airlines worldwide operate the type in smaller numbers.